Last month, the National Pest Management Association (NPMA) held PesTech3.0 in San Jose, Calif., the third conference about how we implement the latest technologies into our business. I had the honor of serving on the Disruptive Technology panel, along with Dennis Jenkins of ABC Home & Commercial Services, Justin McCauley of McCauley Services, and Court Parker of Bug Busters. If you can count on anything in life or business, it’s the fact that everything changes, especially technology. For a concrete example, consider Uber and how it’s created nightmares for the taxicab industry. About four years ago, NPMA Executive Vice President Bob Rosenberg told me about Uber while we were in Washington, D.C., for Legislative Day. When he told me how it worked, I was delighted to hear of such a service because we were disgusted with using cabs. We seemed to always get less-than-ideal drivers and an unclean vehicle. Plus, you never knew what you were going to pay. The bottom line is, we hated using a taxi. If you haven’t used Uber yet, this is how it works: When you log onto the Uber smartphone app to request a ride, you can see all of the nearby cars available. Usually, there’s one right around the corner. You press the “Request car” button, and almost immediately, your phone is ringing with your Uber driver on the line, telling you he can be there in about a minute. The driver pulls up in a clean vehicle and often hops out to greet you and help with your luggage. When you’re dropped off, you simply get out and go: There’s no payment or tipping at this time, as your credit card is already on file with Uber. On the app, you can provide tips to the driver, and/or add comments about your experience. You can even see the previous customer ratings on each driver before you hire them. 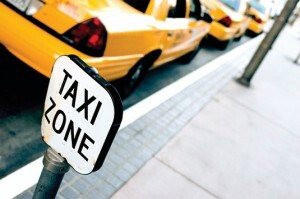 The cost is about the same as a cab, although rates can fluctuate based on availability and demand. You’re given fair warning of this before committing to a pick-up. Let’s imagine that a company comes along and “Uber-izes” the service industry by offering handyman services, household cleaning or, heaven forbid, pest management. Well, wait no longer: Companies such as TaskRabbit already offer a variety of services in 19 cities and counting. Whether they will offer pest management in any or all of these cities is still up in the air, but just look at what happened to the taxicab drivers when Uber suddenly appeared. This total technology disruption caught them by surprise. I’ve used Uber dozens of times and will never use a taxicab again as long as Uber is available. As for my company, we’ll focus on providing phenomenal customer service to keep and recruit new customers forever — and stay a step ahead of the Uberizing service crowd. You can reach Ray Johnson, a past president of the National Pest Management Association (NPMA), president of Sevierville, Tenn.-based Johnson Pest Control, and founder of ACES for Business, at ray@johnsonpestcontrol.com. - Time for a website makeover? 1 Comment on "Added Value: The Uber Effect"
You can market while you earn, I pick up new residents , along with established residents @the Airport in my market & introduce myself, this is in essence subsidizing my marketing , & in person contact is far more valuable than internet marketing. Uber can also help n efficiency & people skills, I have multiple digital trophies from Uber tha put me in the top 10 % of highly rated drivers in the World, a transferable benefit. will Nepper can attest I brought this up @ last years Pest Vets committee where I hoped to launch a Industry involvement where we utilize Vets as drivers.